Welcome to McFarland High School! W.B. Yeats said, “Education is not the filling of a pail, but the lighting of a fire.” The McFarland High School educational community is known for kindling this fire to obtain results and produce students who achieve at a high level. With a student population of approximately 700 students, McFarland High School is the perfect size to allow students and staff to build relationships that establish a family friendly environment. It also means that we can provide personal support to help all of our students meet their educational goals. I can tell you from firsthand experience that the staff is proud of our school, will welcome anyone with open arms, and will do whatever it takes to make sure our students have the best educational experience possible. 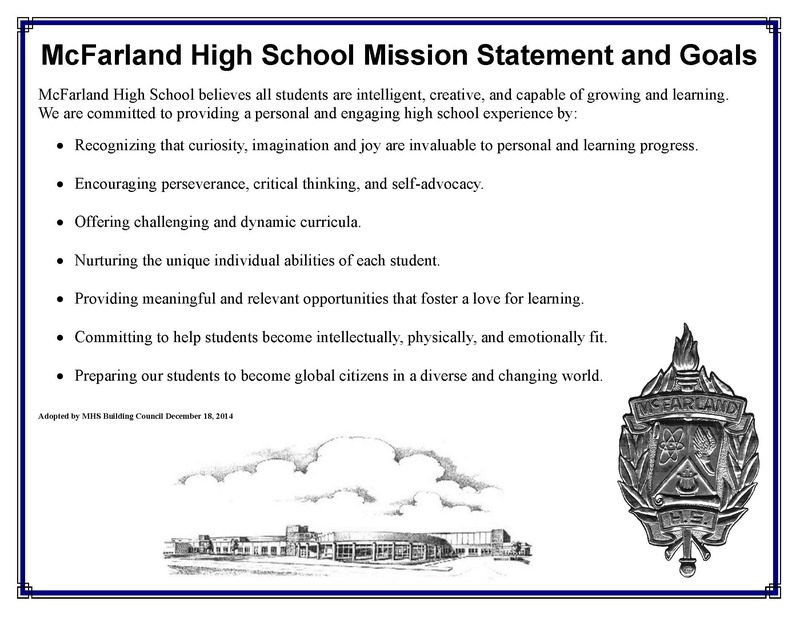 The McFarland High School Mission Statement says we believe “all students are intelligent, creative, and capable of growing and learning.” In an effort to meet that mission we operate on an A/B block schedule that includes an All-School-Resource period to provide additional interventions. We furnish a well-rounded education that provides not only solid teaching in our core classes, but also brings opportunities in fine arts, career and technical education, advanced placement courses as well as apprenticeship programs. Spartan pride is alive and well at McFarland High School. I look forward to working with the staff, students, parents, and community to continue to build Spartan Pride.